Earlier, the Investigative Committee brought criminal charges in absentia against Kolomoisky and Ukrainian Interior Minister Arsen Avakov. Both are accused of using prohibited methods and means of warfare, committing murders and kidnappings under aggravating circumstances and preventing journalists from doing their professional duty. Kolomoisky and Avakov were both put on the internationally wanted list. Oligarch Kolomoisky going to “finish off” East Ukraine Citizens despite ceasefire. War crimes charges may also be filed against Ukraine’s Aydar battalion commander Sergei Melnichuk who ordered a mortar attack that killed Russian TV journalists Igor Kornelyuk and Anton Voloshin, Investigative Committee’s official spokesman Vladimir Markin told reporters. Investigators continue questioning refugees from southeastern Ukraine in Russia’s Rostov, Belgorod, Voronezh, Kursk and other regions and Crimea. More than 3,500 refugees have been questioned in connection with war crimes against civilians in southeastern Ukraine. Over 1,740 people have been officially qualified as victims of war crimes. Biden’s son, Hunter Biden, is a newly-named director of the Ukrainian natural gas and oil company Burisma Holdings, Ltd., owned by Igor Kolomoisky, the Ukrainian-Israeli mafia oligarch, whose is known as the Chameleon. 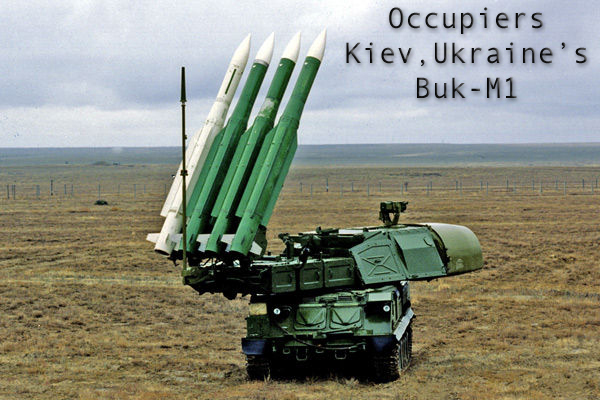 Kolomoisky has raised his own mercenary army, complete with the BUK missiles allegedly used in the shoot down of MH-17. Kolomoisky, the Governor of Dnipropetrovsk Oblast in eastern Ukraine, has threatened terrorist attacks against Russian-speaking officials in eastern Ukraine, including assassinations. 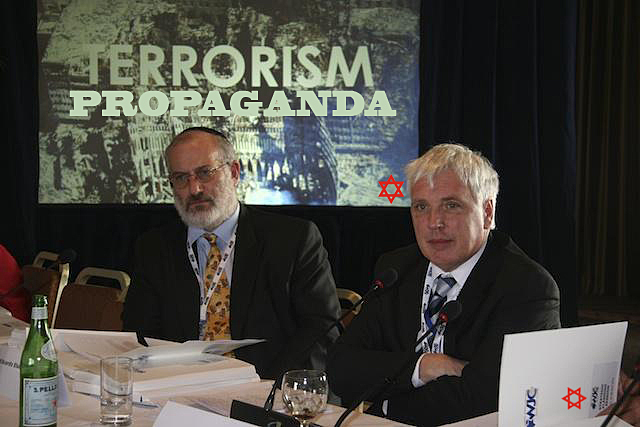 Rothschild’s NWO Zionist Jami Shea (right) NATO Policy Planner. BREEZE included the AEGIS-class guided missile cruiser USS Vela Gulf. AEGIS cruisers’ AN/SPY 1 radar has the ability to track all aircraft over a large region. For example, the AEGIS test center in Moorestown, New Jersey, was able to see the Boeing 747 TWA Flight 800 when it disappeared from radar screens in 1996 near East Moriches Bay, Long Island. According to Lockheed Martin personnel who operated the AEGIS test center in New Jersey, the Navy ordered the SPY 1 radar turned off for «maintenance» shortly before the downing of TWA 800. The announcement of U.S. BREEZE and RAPID TRIDENT II military maneuvers came on May 21, 2014, and were announced on the website operated by Vice President Joe Biden’s office. Biden’s son, Hunter Biden, is a newly-named director of the Ukrainian natural gas and oil company Burisma Holdings, Ltd., owned by Ihor Kolomoisky, the Ukrainian-Israeli mafia oligarch, whose is known as the Chameleon. Kolomoisky has raised his own mercenary army, complete with the BUK missiles allegedly used in the shoot down of MH-17. Kolomoisky, the Governor of Dnipropetrovsk Oblast in eastern Ukraine, has threatened terrorist attacks against Russian-speaking officials in eastern Ukraine, including assassinations. Burisma is a typical RUIM [Russian – Ukrainian – Israeli – Mafia] operation, with subsidiaries in such tax havens as Cyprus and the British Virgin Islands. It is part of Kolomoisky’s large umbrella corporation called Privat Group. Kolomoisky, estimated to be the second-richest person in Ukraine, also has strong connections inside Kiev’s Borispol International Airport, where it has been reported that Ukrainian Interior Ministry troops stormed the air traffic control tower shortly before MH-17 was shot down. A Spanish air traffic controller, who possessed knowledge of the Ukrainian Interior Ministry’s involvement in the shoot down of MH-17, reportedly had his life threatened by people he described as Maidan troops, a reference to the Maidan Square uprising that toppled the Ukrainian government earlier this year. The Spanish controller, identified only as ‘Carlos’, understood that the shoot down of MH-17 was carried out by supporters of former Ukrainian Prime Minister Yulia Tymoshenko and Interior Minister Arsen Avakov. Kolomoisky is a political ally of Tymoshenko and Avakov. Kolomoisky, until 2012, owned Aerosvit Airlines, which used Borispol as a hub, and Donbassaero, which was based out of Donetsk Airport. Aerosvit leased all of its planes, including a Boeing 767, from Boeing Capital. After filing for bankruptcy, Aerosvit and Donbassaero ceased flying in April 2013. Among other Kolomoisky airlines, Skyways Express, based out of Stockholm Arland Airport; City Express, based at Gothenburg, Sweden Airport; and Cimber Sterling, based out of Sønderborg and Copenhagen Kastrup Airports in Denmark, all filed for bankruptcy in 2012. Kolomoisky continues to be active in commercial aviation. His Private Group owns Dniproavia, which is based at Dnipropetrovsk Airport. Kolomoisky’s aviation and Israeli security contacts gives him carte blanche access to secure airport facilities in Europe and around the world. Kolomoisky’s forces are armed with advanced weaponry, obtained both from Ukrainian weapons inventories and from purchases on the black market. Kolomoisky’s forces reportedly possess the BUK surface-to-air missile system said to have been used to shoot down MH-17. Kolomoisky’s forces, comprising Ukrainian regular military personnel; neo-Nazi units from west Ukraine, and foreign mercenaries, including Georgians, Romanians, and white supremacists from Sweden and Germany; and ex-Israel Defense Force Blue Helmet commandos, are mainly separated into four battalions: the Azov Battalion; the Aidar Battalion, the Donbass Battalion; and the 2,000-strong Dniepr-1 (or Dnipro-1) Battalion, which was responsible for the deadly May 1 fire-bombing of the trade union building in Odessa and the burning alive of people trapped inside the Mariupol Police Station on May 9. Dnipro-1 also maintains a 20,000-member reserve force. At the heart of Kolomoisky’s Army is a Nazi Brownshirt-style force of ardent Kolomoisky loyalists who have used guns, iron bars, and batons to seize control of factories and offices in Ukraine that Kolomoisky has expropriated from so-called separatist sympathizers. Some of the Georgians who serve in Kolomoisky’s Army have reportedly been trained in the use of BUK missile systems previously sold by Ukraine to Georgia under the presidency of Mikheil Saakashvili. Kolomoisky has utilized ex-President Saakashvili’s consulting services in Dnipropetrovsk in the military and political campaign against the breakaway people’s republics of Donetsk and Luhansk. Kolomoisky chooses to «command» his army from the safety of Switzerland, far from the front lines and relatively safe from arrest if his ties to terrorist attacks are ever pursued by legitimate governmental authorities.Kolomoisky has a powerful «insurance policy» against any legal recriminations. He counts on the powerful Israel Lobby in the United States to support his cause. Kolomoisky has publicly spoken of Ukraine as the «second homeland» of the Jewish people. And with The Lobby in his corner, Kolomoisky has indirect access to the highest levels of power within the Department of Defense, NATO, and the U.S. Intelligence Community. GA Telesis was founded by its CEO, Abdol Moabery. GA Telesis, a global aircraft leasing firm, is now owned by Bank of America Merrill Lynch and Century Tokyo Leasing. Moabery, a former U.S. Naval officer, formerly worked for Aviation Systems International, Inc. as executive vice president and for C-S Aviation Services, Inc. as sales and marketing director. Both of Moabery’s former companies are partly-owned by George Soros, who is partly responsible for laying the groundwork for the Ukrainian coup that ousted President Viktor Yanukovych. C-S (Chatterjee-Soros) Aviation is co-owned by Purnenda Chatterjee, who runs the Chaterjee Group, an investment firm. Chatterjee Group owns Winston Partners of Alexandria, Virginia, an investment firm co-founded by Marvin Bush, son of George H W Bush. Winston owns corporate entities in the Cayman Islands, Isle of Man, Curacao, and Delaware. One of the Winston entities, Winston Capital Fund, has another Bush family investor, former Florida Governor Jeb Bush. Interestingly, Marvin Bush has served as an adviser to HCC Insurance Holdings, Ltd, a re-insurer of the World Trade Center in New York. Marvin’s business dealings have also involved the purchase and leasing of commercial aircraft. The seizure of the air traffic control center at Borispol by allies of Kolomoisky shortly before the shooting down of MH-17 and Kolomoisky’s strong links to Israel, which benefited immensely from the downing of MH-17 because it drew the attention of the world’s media away from its ground invasion of Gaza, which began just as initial reports about the fate of MH-17 were being transmitted, may be the real story behind the loss of Malaysian Airlines Flight 17 and the horrible deaths of its 298 passengers and crew.